NO. THE WATER AT MNPS SCHOOLS IS NOT SAFE. On Monday of this week, Phil Williams, an investigative reporter at News Channel 5, produced another damning report on lead levels present in the water at Metro Nashville Public Schools. I believe this is the seventh such report that he has produced on the subject, and all of them have been equally damning. The reports do not include speculative information nor reports that are open to interpretation. What is reported are actual numbers from water tests produced by people hired by MNPS. Numbers that can be easily interpreted by a simple Google search. Although public discussion often mistakes the action level as having significance in terms of health impacts, EPA has consistently emphasized that the health-based maximum contaminant level goal (MCLG) for lead in the current LCR is zero and that there is no safe level of lead exposure. Lead is toxic, and if it makes its way into the still-developing brains of young children, many of the effects can be permanent. Lead can change how signals are passed within the brain, how memories are stored, even how cells get their energy, resulting in life-long learning disabilities, behavioral problems, and lower IQs. I’m not sure who wrote this, but surely they didn’t think this through before releasing it. Yes, it’s true that the district has never tested water districtwide in the past, but to suggest that the process of testing water for lead is some kind of cutting-edge science is disingenuous at best. It’s been a recommended action for over 15 years that schools test drinking water for lead, and while many schools chose to ignore that recommendation, use that pesky Google search again and you’ll find that schools across the country are now confronting the issue. MNPS is not Neil Armstrong taking a stroll on the moon here. The whole “learning and adjusting” claim is just ludicrous to me. What is there to learn other than the actionable level and the safe level? What adjustments are needed? It’s a simple equation: lead levels over 1 ppb equals bad and requires rectifying. Simple. Why would we possibly need a “standard” to dictate what is safe and unsafe? There is no standard in place for my child to play in traffic either, but common sense tells me that if I allow them to do so, they run the risk of getting hit by a car. So, I assess the situation, and I rectify it. I don’t adjust by saying, “Well if he plays in traffic in the early afternoon or mid-morning, he’ll probably be all right because traffic is only heavy in the early morning or late afternoon.” No, I don’t let him play in traffic at all, and we shouldn’t let our children drink poisoned water at all either. 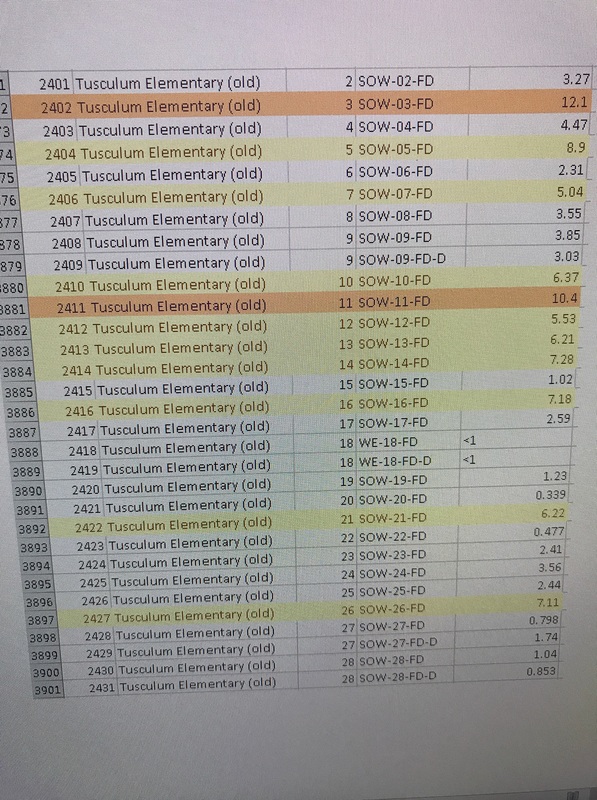 Last week, I received a copy of the results from the summer’s testing at the old Tusculum ES, which is now the McMurray Middle School Annex. It appears to me that there are a whole lot of results over 1 ppb in this report and several double digit numbers. Based on what we know, do you think that water at McMurray Middle School Annex is safe to drink? I know, it is below the federal action number, but do you believe it is safe? So I have to ask, as parents, would you drink from these fountains? Would you allow your children to drink from these fountains? If so, you and I have a very different interpretation of what’s safe for children. If not, what are you doing to rectify it? Last week, State Representative Mike Stewart held an impassioned press conference denouncing the state for potentially putting children at risk by sharing their data with charter schools. MNPS Board Chair Anna Shepherd signed her name to a strongly worded editorial decrying the risk to students if the district complied with state law and shared students’ directory data with charter schools. And yet there is not a peep from anyone, save State Representative Jason Powell, on the very real danger of high levels of lead in student drinking water. Apparently fighting charter schools takes precedence over keeping our kids safe. 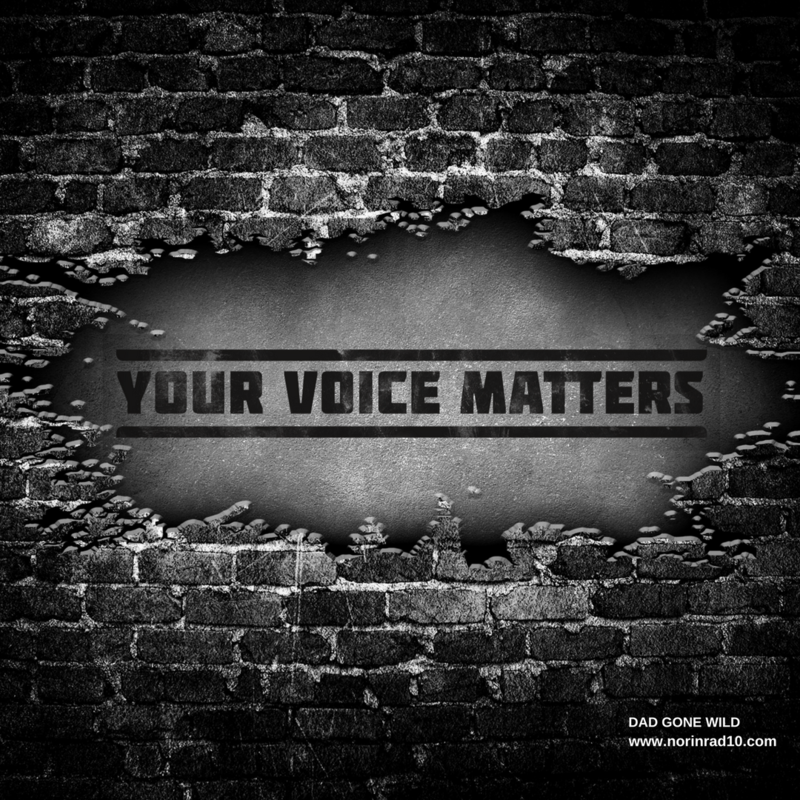 When I shared the above numbers with a high ranking district official last week, their reaction was to voice concern because Phil Williams was seen at a local school filming kids on the playground. “Stop poisoning our kids, and he”ll stop filming,” I responded. “But you can’t film our kiddos,” they explained. Apparently, though, it’s all right to expose them to the dangers of lead, as long as you don’t film them. Kudos to Phil Williams for continuing to pursue this story despite the collective shrug by city leaders. Mayor Barry has not issued a single statement on the issue despite issuing several statements that promised to protect immigrants and their families. The Tennessean has largely ignored the issue. Even the Nashville Scene, despite its writers recognizing the severity of the situation, has offered very little coverage. UPDATE 9/28: Phil Williams did was able to ask Mayor Barry about the MNPS drinking water situation yesterday. She vowed that, “Whatever they need to make sure that this will be safe drinking water is what we’ll do.” The entry of the mayor’s office into the conversation is a very welcome development and one that gives me optimism that something will actually be done. The district released a beautiful, heartfelt public statement in response to recent policy changes initiated by President Trump over the summer. In the statement they reaffirmed that “Metro Nashville Public Schools wants to reassert our belief that all school-aged students should have access to an excellent education, and thus access to enhanced opportunities, without regard to their immigration status or the immigration status of their parents.” Take a look at the demographics of those schools with the highest levels of lead in the drinking water and ask yourself is MNPS walking the walk or just talking the talk? The adverse health effects of lead exposure in children and adults are well documented, and no safe blood lead threshold in children has been identified. “But you can’t film our kiddos”, they responded. And your reply should have been “you can’t sell their data to Charter schools”! I’m more concerned about making sure they are not exposed to elements that directly affect their health right now. Wonder if Robertson Academy’s water was tested? Sometimes it is considered a school. But usually not. Many of my staff members who were housed there have experienced various cancers. Some have lived to tell about it and some not. I felt doubtful about this statement because the email did not include any data (so I saved the email). Thanks to Channel 5, I know that several water sources in my school have high levels of lead. This is sad and disheartening on several fronts…. My students are not safe at school. I can’t trust my school district to be truthful to me, my students, or their families. I am not valued enough by this district for them to be honest. I teach in MNPS. The water coming out of the water fountains tastes awful- like rust. I bring bottled water from home. I feel sorry for the kids that have to drink out of the water fountain. It tastes bad.